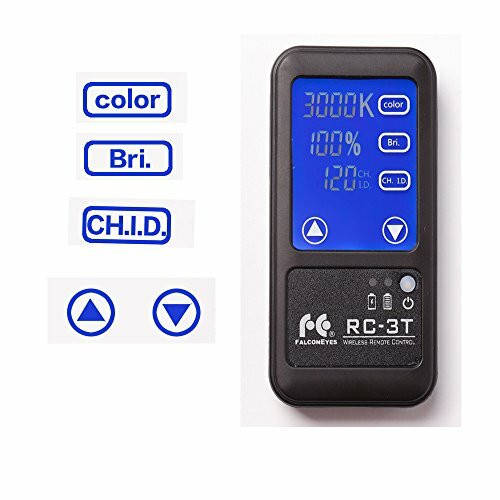 The brightness and color temperature can be set through the remote control. In the environment without electromagnetic interference, the effective control distance is 50m(no obstructions). With LCD touch screen control.You need to set the ID same with the Light LCD touch screen before using. Used for Falcon Eyes RX-24TDX Roll-Flex LED Light, LP-2005TD / LP-2805TD / 2005TD Pro / 2000Pro led studio light remotely.